Iran's Supreme Leader Ayatollah Ali Khamenei gestures as he delivers a speech in Mashad, Iran, March 21, 2018. Leader.ir/Handout via REUTERS ATTENTION EDITORS - THIS PICTURE WAS PROVIDED BY A THIRD PARTY. NO RESALES. NO ARCHIVE. 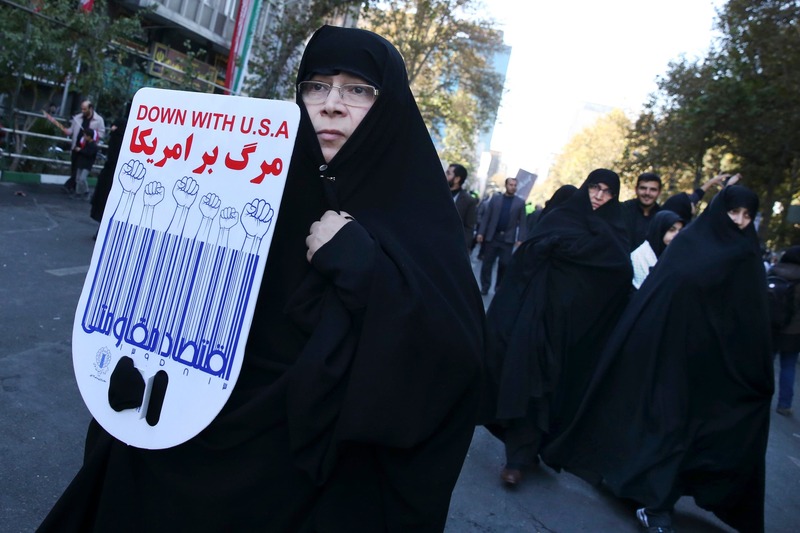 Al-Arabia – Iran’s Supreme Leader Ayatollah Ali Khamenei claimed on Friday that the “Death to America” slogan widely used since the 1979 Islamic Revolution was directed at Trump and current US officials.